I laughed a bit to myself and proceeded to snap some pictures so you could have a peek inside. 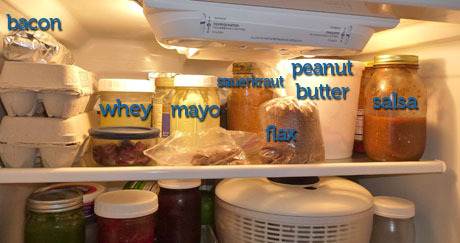 One reason identification is tricky in our fridge is because I forget to label things. I tend to rely on my not-so-reliable memory for what’s what and how old things are; which can be a bit scary, so label and date whenever possible. Another reason is, many items are straight from our kitchen. That’s right, made and packaged by us. Not purchased from a store. Not sold in fancy, wasteful packaging. Not manufactured by a company with less than optimal health standards. Not left over from a restaurant that is purchasing from one of many corrupt multinational food corporations. I don’t consider us food snobs. I consider us food realists. We understand that good, healthy food takes time. 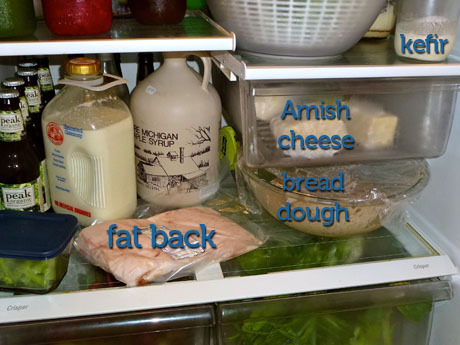 It is a gradual process – one we’re still in the midst of – but the simplicity of ingredients in our refrigerator mirrors the simplicity in our lives. Eggs: Free range eggs from a local farmer. We love our eggs and are blessed to have several local folks raising healthy hens. Bacon: From hogs that were not fed hormones or antibiotics. This bacon was smoked without the use of nitrites and nitrates. Liquid whey: When we made cream cheese a few weeks ago we also harvested a good amount of whey; it’s the liquid that remains after milk has been clabbered and strained. It has a ton of great uses and cannot be purchased in the store. Homemade mayonnaise: Matt is experimenting with many homemade condiments right now, and this one’s easy and delicious. Flax seeds: Rich in Omega-3’s, fiber, antioxidants, and B vitamins, flax seeds are a staple in our fridge. I throw them in homemade granola, cookies, and smoothies. Peanut butter: Yes, a five-pound bucket of peanut butter. When I can find a good price on good peanuts, I whip up huge batches of peanut butter in our Vitamix. Salsa: One of our favorite late night snacks, we blend up fresh salsa anytime we have tomatoes, peppers, onions, and cilantro hanging around in the fridge. Pureed greens: Remember the article about using up your garden greens? This lovely green stuff has been making its way into many unsuspecting dishes lately. Strawberry jam: When strawberry season arrives, I pick for hours, process for even longer, and always make several jars of homemade jam to freeze for later in the year. Chocolate syrup: I panic a bit when we run out of chocolate syrup. I’ve been known to scurry into the kitchen at midnight to cook a batch and replenish our supply. Organic beer: Matt enjoys a beer every now and then and recently found a great organic brand that he’s stocking. Non-homogenized milk: When we’re out of raw milk (which we can only get every other week), we purchase non-homogenized (cream separates) whole milk. I just love the glass bottles; they make me feel like I just got a delivery from the milkman! Maybe you’ll think I’m gross, but I also love it when a small chunk of cream ends up in my glass of milk. Mmmmm. It’s like dessert. Fatback: I had no idea what this was when Matt purchased it. (I kept snickering like a third-grade boy when he would mention it.) A local pig farmer sold it to us at the Farmer’s Market. We have recently been reading about the Traditional Diet in the book Nourishing Traditions, by Sally Fallon. The book teaches about the age-old truths of healthy animal fats. Matt intends to make lard from the pork fat back. I know this might sound strange to some, it goes against everything proponents of politically correct diets preach to consumers. Read more about this and other Traditional Diet ideas from The Weston A. Price Foundation. Salad dressing: Once we learned how easily salad dressings could be made, we no longer had to deliberate over which dressing to purchase from the thousands of choices at the grocery store. We never use a recipe, just eyeball ingredients and throw together what sounds good. Coleslaw: In an effort to use up produce from our CSA, I made my very first batch of coleslaw. Next time I will use the food processor instead of chopping cabbage by hand for 40 minutes. Lesson learned, but it was delicious. We prefer a vinegar slaw to a mayo-based slaw. Real butter: A few sticks rest in the butter compartment, and the raw milk butter is hiding behind some of the condiments. Things taste so much better with real butter, and unlike margarine, it’s not made with chemicals. Don’t fall for the diet hype. Eating healthy doesn’t mean “fat-free” or “low-fat” or “skim milk” or margarine or fake eggs (rhymes with egg-skeeters) or anything of the sort. Real food is grown by real farmers, is processed by real people in real homes, and is enjoyed by real families. Healthy Families. I just found your website and I LOVE LOVE LOVE it!!! I make and do many things just like you but there is always something new to learn and share. I hear you Hana! We are learning new things EACH day. So glad you’re enjoying the site…yay for new friends! I love your refrigerator! I wish mine looked like that. I have most of what you have but haven’t made my own mayonnaise- I use very little or salad dressing- I use oil and vinegar. You are an inspiration. Keep up the good work. Hey Betsy, do you have a place where the ingredients and measurements of these recipes are? I’m interested in the jam because the original recipe on certo packages calls for so much sugar and was interested in what you use because I like to make my own jam also. Do you use certo or something else? I know…I hate the amount of sugar that goes into jam, and unfortunately I do put lots in. I’ll admit my jam is not one of the healthier things I make (because of the sugar content), so we eat it in moderation. 🙂 I’ve made it from a few packets…can’t remember which one I used this year. We don’t have all of these recipes on our site, but some of them are available. Whichever ones are highlighted/underlined in the article, you can click on them to see a recipe or more information about them. Thanks for asking! Thank you so much for opening your fridge (and therefore life 🙂 ) to us! I have learned so much on your site. Our family has recently started the process of going to whole/real foods and it is so daunting. Knowing that it was a process for you too and seeing such a simplified explanation of what you do is so helpful. And the fact that I do believe I saw a bottle that looks like our Sweet Baby Ray’s BBQ sauce, cause I don’t know if I could get my hubbie to join me without it! It’s just so helpful to know that not everything has to change immediately. Thank you so much for all that you guys do here. It is definitely a long process to move toward whole/real foods…and as you can see (by the Sweet Baby Ray’s), we’re not even completely there! 🙂 I should have given a peek into my pantry at our old house…it was large, organized, and had good lighting. Our current pantry is a small, dark, crammed closet! Not great for photos because you can’t really tell what’s going on! Lol. 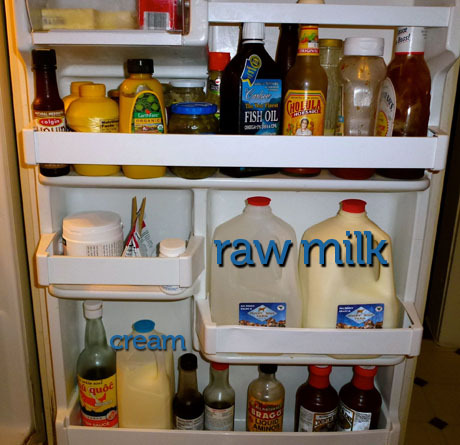 Love your photo of your refrid., but I personally wouldn’t buy or drink raw milk. ( I’m a retired R.N. and have would have so many qualms against raw milk.) Love your blogs and hints- keep them coming. Many thanks for all the time you spend testing those hints!! I saw your comment about buying sour kraut. I make my own it is so simple. Mine is not cooked. I pack a quart canning jar firmly with thin sliced cabbage, add 1 Tablespoon of sea salt. Cover contents completely with boiling water. Insert a knife down into the jar in several places to release bubbles. Put on the lid and ring. Shake to distribute salt. Put in a dark place like a cupboard for 3 weeks. That is it. After the 3 weeks keep in the refrigerator. When one bottle gets about 1/3rd full, I make a new quart. I date my lid for 3 weeks so I know when it is ready. Love your ideas! I’m so glad to see a fridge that looks like mine! I had a lot of Kohlrabi from our CSA delivery…I made a Kohlrabi soup. I used a basic potato soup recipie and substitued cubed Kohlrabi for the potatoe. looks like a potato soup, but the Kohlrabi lends a mild broccoli flavor…very yummy! My kids loved it 🙂 Great website, you guys rock. Keep up the great work! Love your fridge! And finally, somebody who knows how to pronounce kefir. My fridge looks fairly similar. I wish I had twice as much room for farmers market veggies… and for those we will be growing soon. You mentioned that you had Whey left over from making cream cheese. A. No, the leftover liquid from butter is buttermilk. Yum! Whey comes from making things like cream cheese or kefir. B. Whey can be stored for about 6 months. Love this! I too have many of these in my fridge. I was jealous of the butter, cheese and yogurt, can’t eat dairy 🙁 do you have any suggestions for a butter alternative ? I really don’t like the vegan options out there. Thanks! My apologies…can’t recommend a good butter alternative. 🙁 Never needed one myself, so I haven’t researched/tried anything else. Good luck on your hunt! this will work, just my idea. I recommend trying raw milk products. 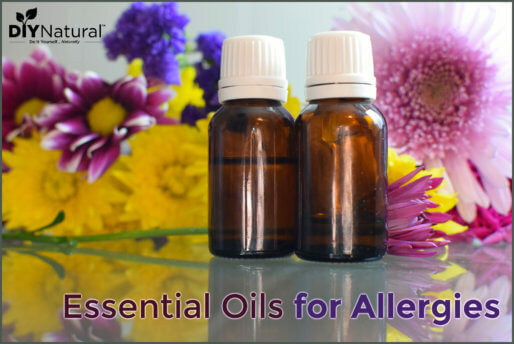 Many times people with allergies to processed dairy do really well with the real stuff (raw). Also, don’t forget about bacon grease and lard. It’s easy to render your own lard from fat back, which also leaves you with another treat – pork cracklins! Since you have a Vita-Mix, you probably also have their “Whole Food Recipes” book and if you haven’t made their FABULOUS cole slaw, I encourage you to give it a try! Super-easy and wonderfully delicious! Ahhh, okay…I don’t think I’ve ever looked at that smaller book that came with the Vita-Mix. Thank you!!! Excellent post! This is how we eat too. 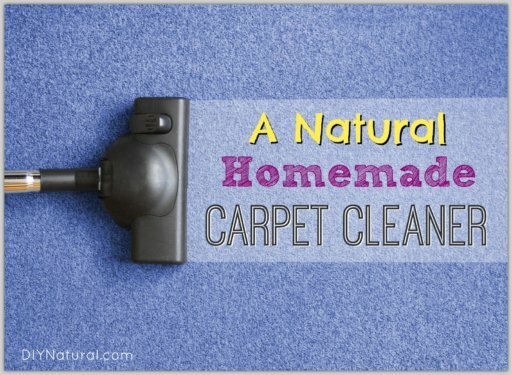 Yay for Weston A Price, and Double-Yay for DIY Natural!! Let me add my compliments to the rest for your sharing your fridge with us, and also to those other readers who are so much more eloquent than I. What’s funny to me is that what stood out most in your pictures was all the glass storage. Very little plastic. That alone was inspiring. 🙂 I was going to ask you guys where you get your large plastic jugs (windshield washer fluid pic) but I emptied my first vinegar jug yesterday and figured it out. Please share your mayo, cheese, and butter recipes! And thank you for all the hard work researching and testing all these recipes so that we can all benefit! Yes! 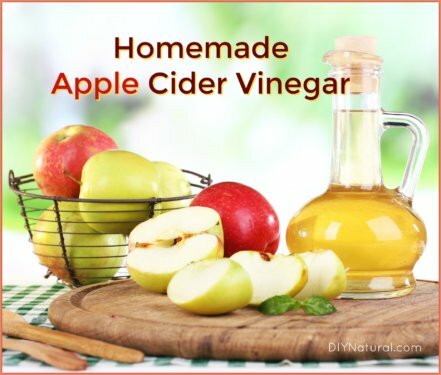 I save all my vinegar jugs & they come in so handy! I totally agree with those who are envious of your fridge contents. I’ll definitely have to look at the bread recipes. I’m a huge fan of homemade bread, and sourdough is at the top of the list. I’ll check out the book that was mentioned. Also, as a follow up to Jessica’s question about an article on making cream cheese – – yes, PLEASE do! Love the fridge post! Totally agree with you about the “low fat politically correct diet” in our country. If you really do your research you’ll find out how much “good” fat is good for you! Especially from grass fed animals and fish. Not industrialized fats. If you liked Nourishing Traditions, you’d love Nina Planck’s Real Food. She also wrote one for expectant mothers called Real Food for Mother and Baby. Wonderfully informative books. Thanks for the book suggestions Leanne! We hadn’t heard of those. Kefir rhymes with ‘heifer’, according to my Bosnian neighbor. If my geography is in order, Bosnia is pretty close to where convention indicates is the source of kefir. My wife has an embroidery machine, so she makes our labels. We attach the labels with elastic loops. If your container is glass you can write on it with a Sharpie. Rubbing alcohol will remove it easily. Not that I always remember to label things either lol. Hi, just wanted to say that I love this article, and every article I get from this website! I’ve learned so much from you guys! 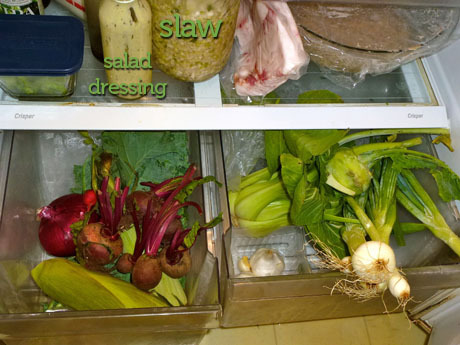 Thanks so much for providing a peak into your fridge! So, will there be an upcoming mayo recipe? I’ve tried some homemade ones in the past and wasn’t overly thrilled. But open to trying again. I love the inside look at your fridge. I find it inspirational, and totally do-able, one step at a time. I sometimes think I’ve got a long ways to go, but then realize (happily) that I’ve come a long ways from instant rice and canned pastas. Oh, and I’ve found making raw fermented vegetables easy-peasy and not necessary to keep in the fridge, giving us more space for other things. Great use for veggies like cabbage, cauliflower, etc that needs to be used up. Matt is working on perfecting the mayo recipe for his upcoming book on DIY condiments. He may share it on the website as well. Totally enjoyed the peek into your fridge! (I mean, Rachel Ray’s mag peeks into a celebrity’s fridge monthly, but they’re no where near as fun, interesting or inspiring as yours.) I, too, have the bowl of refrigerated bread dough — and it takes up a lot of space, but homemade bread is so worth it (I use this no-knead recipe). FYI, the vitamix is GREAT for chopping up cabbage quickly and easily for cole slaw. We use starter recipes from Healthy Bread in 5 Minutes a Day, but it looks like Jolynn’s link below gives a great recipe as well (derived from another book by the same authors)! We don’t use our bread machine for it, just mix it in a bowl. No kneading necessary. Btw… maybe we’ll consider an article or video on salad dressing! Great idea! my wife and I would love to make our own items like mayo or salad dressing, only problem I see is its just the two of us. What is the shelf life for your mayo and salad dressing. Some of the recipes I have found on line only say about 1 week. We only have 2 in our house as well. We have found the mayo to last a few weeks, and salad dressing really depends on the ingredients. We usually mix salad dressing in small(ish) batches so it’s not wasted. p.s. Love the site and the book! Great article! I don’t think it is smug at all. Glad to know you practice what you preach, and the smoked bacon made my mouth water. can you tell me the uses for whey when making yogurt? This article lists many uses for. It should get you started and give you some great ideas. I would add a note of warning to the raw milk asking readers to be aware of local/federal laws regarding sale/purchase of raw milk. It is unfortunately a confusing patchwork of laws. Yes it is…thank you for posting the link! I am working on making my refrigerator look like yours! I live in MI and having a difficult time finding raw milk and eggs close to me. And a butcher! I don’t know where you live but if you know of a farm close to Batlle Creek please let me know. Thanks! Here is a search on LocalHarvest.org that will help you find all the farms in your area. One of our favorite tricks is hanging out at local Farmer’s Markets and chatting with the farmers…your best resource! I’m in Jackson, MI and it is illegal to sell raw milk. The way around it is to join a farm group that sells shares. That way you aren’t buying the raw milk but the shares. A technicality but it works. Gack! This post reads so smug. I understand the reasoning for your food options featured; I’ve been informed and inspired by Food, Inc., The Omnivore’s Delimma and Mark’s Daily Apple blog. I get it. 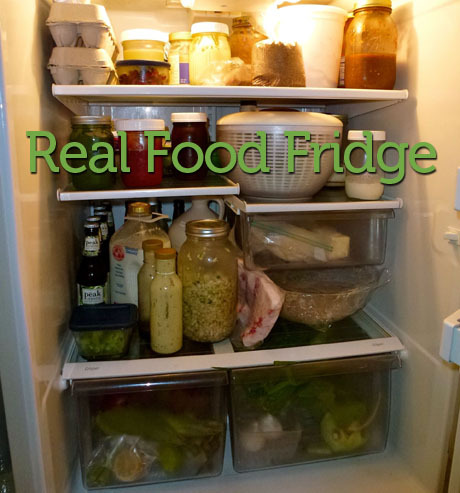 But still, this post with its supposedly totally candid photos of your (digitally labeled) typical (and perfect) fridge contents is self-indulgent and self-righteous, a real (food) turn-off. When the sting is gone from my comment, consider the sentiment. A “food turn off” !!!???? I would say the biggest food turn on ever! I think her fridge is inspirational and I hope that one day my fridge will be just as well stocked. Sure, she probably cleaned the shelves and organized a bit before taking her picture but who wouldn’t? It’s not a competition, it’s a process that we all take to try and feed our families in a healthy way. I’m sure it’s taken years to get a fridge as fine tuned as that. I am grateful for the many bloggers out there that provide me with tutorials, pictures and personal experience to help me realize that feeding my family better food is possible..baby steps! Whoa! I saw a frig full of food done a different way. I saw a frig that has evolved over time with learning and experimentation. A year ago while standing in the grocery looking at the mayonnaise, I exclaimed out loud over the price and said I was going to start making my own. A man standing next to me said, “you can MAKE mayonnaise?! ?” We’ve bought the advertising and bought pre-made products, but not necessarily well made products for so long it takes a while to step off the commercial conveyer belt and question things. We’ve forgoetten the word “staple” and how to do it from scratch. I’ve found it interesting in my own kitchen that I use carefully the things I have made to make it last and that also results in healthier eating. I marvel that I now look at the Sunday paper coupons and there are very few I clip because I cook from scratch and have eliminated commercial cleaners, shampoos, etc. Even my husband commented recently he realized we don’t use most of the things offered in the grocery any more. These things didn’t happen overnight, but BECAUSE someone else has reminded me look for alternatives and question what has become automatic and stop following the masses. Thank you Betsy and Matt for sharing your learning and being so open to trying things all of us have tried and discovered along our journeys to “natural”. What an inspiring refrigerator! We actually have a lot of the same things in ours, including using jars for storage; I’ve been ridding my kitchen of plastics for awhile now. I learned awhile back that canning jars can be vacuum sealed; removing most of the oxygen lengthens shelf life for things you can’t can. We’re in TX, but on a recent trip to NY I finally found the Ziplock pump sealer ($4 + at Wal Mart!) and can’t wait to try it on jars. There’s a You Tube video that demonstrates the how to. Get those onions out of the fridge!! Onions need more air circulation and less humidity than a fridge provides; they should be stored in a cool, dark, dry, and well-ventilated place. AND don’t store your onions with the potatoes. I never knew that until recently. One of them causes faster spoilage of the other. I forget which. Yep! This is one I learned about two years ago. Thankfully, I’ve been blessed with a second small pantry under our stairs. I keep the onions there, and the potatoes go in the main pantry. My potatoes and onions last a LOT longer now! I wish that my fridge can look beautiful like that. I am going to give a try, lot of works need to be done. Thank you for the idea. God bless. We’re mostly there. I loved seeing the Michigan maple syrup. We tapped our trees this spring and it is the best maple syrup ever. Is there an article coming up on making cream cheese?? Love it! My fridge looks very similar – lots of fresh produce, homemade yoghurt and whey, sourdough culture, homemade sauerkraut, and a shelf full of seeds and nuts! Real food is the only way to go! I figure once the government gets involved, the road to hell is a fast and slippery slope. So goes it with our food supply. 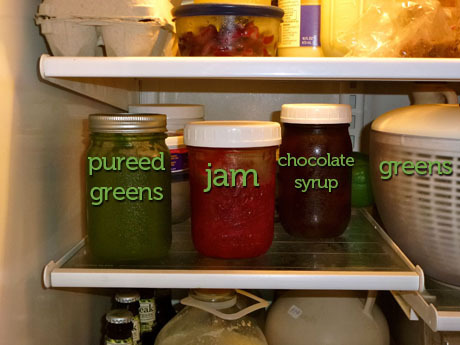 Your fridge looks great; love the ingredients. I used to slaughter hogs here on the farm, haven’t done so in a while but still help the neighbors. Chittlin’s, fat back, middlin’s, etc. are all delicacies especially fresh. One thing I’ve got in my fridge is 2 gallons of raw milk, waiting to be churned. BTW, I’m with you on the cream thing…delish! We would love to have more “hands on” experiences with our beef/pork/chicken, and Matt has started asking some of the farmers we buy from if he can come help on slaughter days. We really believe self-sufficiency with our food is the way to go! What fun to see your refrigerator! I always think we are doing so much but looking at your refrig we are behind! I used to make mayo years ago and remember it was easy. We also eat only homemade salad dressings but usually don’t make them until we’re ready to use – probably need to make some ahead of time. I’m off to check out your chocolate syrup and read that article. Thanks for the post.